Not everyone needs an ultimately powerful little hot hatch. High insurance premiums and even higher asking prices can often put paid to shopping rocket dreams. Which is why some makers will sell you a supermini with all the look and feel of a real GTi but none of the drawbacks. Here's Ford's solution, the Fiesta ST-Line. We've had plenty of really great sporting Ford Fiestas. In fact, the Blue Oval brand's hot hatch legacy around this model goes all the way back to the XR2 of 1981, with a history subsequently embellished by the more powerful RS1800 and RS Turbo models that followed it. Best of all was the hot hatch 1.6-litre Fiesta ST launched in 2013. Unfortunately, in current 1.5-litre EcoBoost form, it costs the best part of £20,000. So what if you could have a sporty Fiesta that looks just the same for not much more than around £16,000? That sounds more like it. It's the recipe delivered by the Fiesta ST-Line. Of course, going the ST-Line route isn't going to get you the kind of power you'd enjoy n a fully fledged ST. If that's not an issue, then potentially, there's plenty to like here. 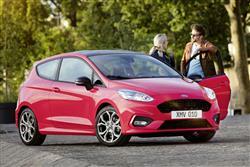 Fiesta ST-Line buyers get a choice of four engines. Three of them are variants of the brand's three cylinder 1.0-litre EcoBoost petrol turbo unit, developing either 100, 125 or 140PS. If you really must, there's also a 120PS 1.5-litre TDCi diesel variant too. We'd go for the 100PS petrol variant. Choose one of the other derivatives and you're getting to the point where you might as well have shaken the piggy bank a little further and gone for a fully-fledged ST model. The 1.0-litre variant in contrast seems to give you everything you need without too much of what you don't. Rest to 62mph in the 100PS model takes 10.5s en route to 113mph and working the little powerplant hard delivers a pleasant, buzzy thrum. The 140PS version gets to 62mph in 9.0s on the way to 125mph. Through the bends, the handling should be sharp, thanks to a 10mm lowered chassis and the well-weighted steering and short, crisp gearshift feel we've experienced in other Fiestas. The fact that the suspension is a touch softer than that of the full-fat ST may actually even be of benefit on bumpy roads, where this ST-Line variant is unlikely to crash through tarmac scars quite as much. At first glance, this ST-Line Fiesta looks just like the potent top ST model - at least in three-door form anyway. You can't get an ST with five doors but that bodystyle is available to ST-Line customers, another potential buying incentive. ST-Line styling specifics include a unique 'ST-Line' upper grille, 'ST-Line' wing badges, a full bodystyling kit, 'Rock Metallic' 17-inch 5x2-spoke alloy wheels and a large body-coloured rear spoiler. Inside, there's sports seats, sports pedals and a flat-bottomed 'ST-Line' steering wheel. Otherwise, it's the usual Fiesta recipe. Up front, there are flush, seamless surfaces, soft-touch plastic coatings and neat splashes of chrome, plus it all seems to have been very well screwed together by the factory in Cologne. Other than that, the first thing you'll probably notice is the infotainment system that now sprouts in free-standing form from the top of the centre console. Rear seat space in the three-door version is better than the claustrophobically rising beltline might lead you to expect. 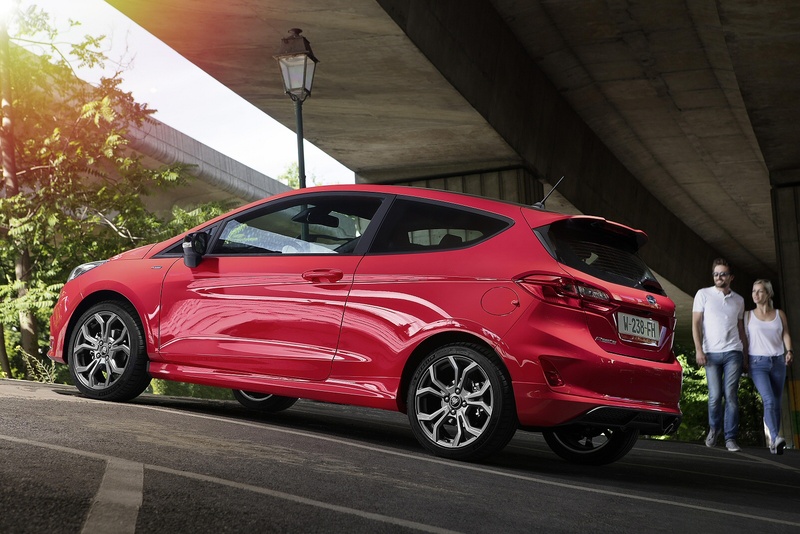 Once you're in the back, the Fiesta surprises with headroom manageable even for a six-footer - though his or her legs will be crushed pretty snugly against the seat in front. There's also a 292-litre boot. Fiesta ST-Line prices start at just over £16,000 for the 1.0-litre 100PS model, so there's quite a saving over the 1.5-litre full-fat ST hot hatch. Add in the other savings you'll make when it comes to things like running costs and insurance and the ST-Line case starts to add up. Add on around £500 more if you want the pokier 125PS model - and around £500 more if you want the top 140PS variant - though by that time, you'll be needing to find over £17,500 for the five-door model, which isn't really too far off what you'd pay for that fully-fledged ST. The 120PS diesel costs from just under £18,000. Whichever variant you choose, you'll need a premium of around £600 to progress from the three-door to the five-door bodystyle. As for ST-Line equipment, well in addition to the styling add-ons we've mentioned elsewhere, buyers can expect to find features like LED daytime running lights, black headlining, a perimeter alarm, keyless start, manual air conditioning and a 'SYNC 3 infotainment system with a 6.5-inch touchscreen with Emergency Assistance, 'Apple CarPlay' and 'Android Auto' smartphone mirroring functionality and a six-speaker DAB audio system. If you want more, then plusher 'ST-Line X' models ad in a larger 8-inch SYNC touchscreen with navigation, rear privacy glass, LED rear lights, climate control, auto headlamps and wipers and part-leather trim for the seats. 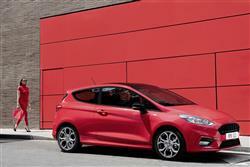 The whole point of choosing an ST-Line Fiesta rather than a sportier ST model is to reduce your costs. Which is broadly what's delivered here. Go for the fastest ST-Line variant, the 1.0-litre EcoBoost 140PS derivative featuring Start and Stop, and the figures are 62.8mpg and 102g/km. The 100 and 125PS versions improve that showing further - to 65.7mpg and 98g/km. And in the 1.5 TDCi diesel variant, you can potentially manage up to 88.3mpg and 89g/km. What else? Well we'll tell you about servicing, which on all engines is required every two years or 18,000 miles - whichever comes first. Two pre-paid servicing plans are available; one that costs £340 and covers you for two years and two services; and another that costs £550, is transferrable to future owners and covers three years and three services. That only leaves depreciation. If you're a prospective customer, then you'll be glad to hear that Fiesta residual values are on the up as both new and used markets respond well to the increase in quality of the latest generation car. Expect to get around 50% of your initial purchase price back after three years - which is basically unheard of for a Fiesta. If you�re looking for a new Ford Fiesta 1.0 EcoBoost ST-Line 5dr Petrol Hatchback for sale, you�ve come to the right place. 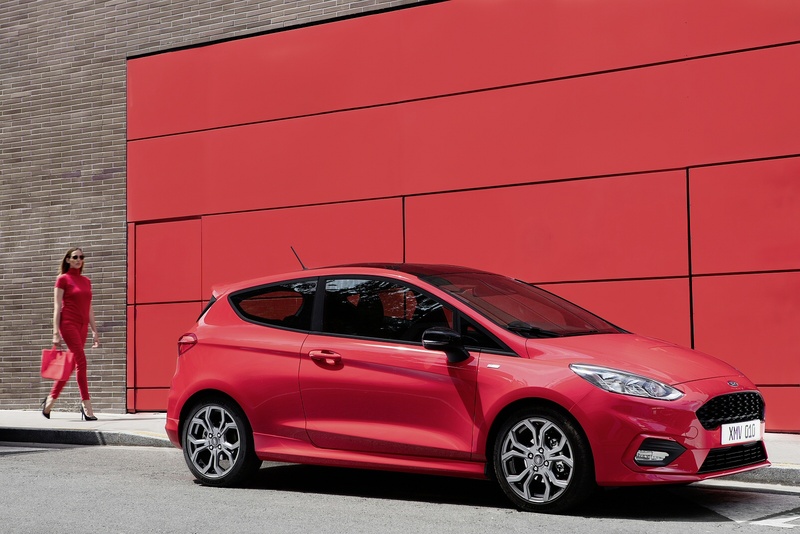 At Bristol Street Motors we don�t just have the best Ford Fiesta 1.0 EcoBoost ST-Line 5dr Petrol Hatchback deals, we also offer friendly advice and help with all your enquiries to ensure your buying experience is a happy experience.